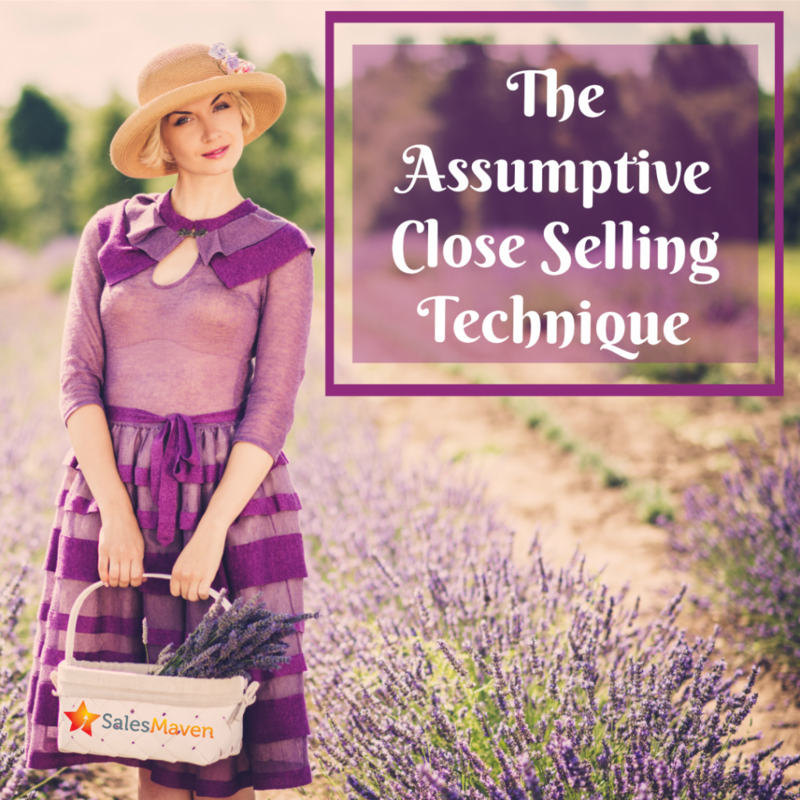 The assumptive close selling technique, have you heard of it? Do you know when to use it? How about when not to use it? There are situations where using the assumptive close technique will ruin your chances of earning the business. Understanding how and when to use it will greatly impact your bottom line. First, for those who’ve never heard of it, the assumptive close selling technique is talking with a prospect as if they’ve already purchased what you’re selling. For instance, instead of saying, “When we work together we’ll focus on XYZ.” you’d say, “We’re going to focus on XYZ.” Sounds similar, right? When you leave off the, “When we work together…” you’re implying it’s a done deal. In this instance, using the assumptive close technique is effective. There’s a respected colleague of mine who’s particularly good at the assumptive close. We sit on a board together and she’s used this technique with me recently. My commitment to the board has been fulfilled and I when I announced I’ll be stepping down, she applied this technique. She started off by asking, “What will it take for you to come back for one more year?” Once I gave her even a hint of an answer, she said, “Great, we’ll work it out, you’re coming back.” She then changed the topic of conversation as if it was a done deal. There are a few reasons this worked so well for her. One, she had a ton of rapport built up with me. Two, she’s charming. Three, her voice curled down at the end of her sentences. She stated it as if it was a fact. People who know me, know I love being around people who are good at sales. I’m one of those people who like to be sold when it’s done with integrity and intention. She had both. Obviously, I get something out of the board experience or I would walk away. Meaning there must be a need or desire in order for this technique to work. If I was 100% committed to being done, the technique wouldn’t work no matter how charming she was. People who get an objection, ignore it, and then go in for the assumptive close are being disrespectful to the client and damaging rapport. An example of this happened recently when I voiced an objection to moving forward on a deal. The salesperson completely ignored my objection and sent me an invoice. Even though she heard my objection, she chose to ignore it and went in for the close without addressing my concerns first. The result, I walked away from the deal. I felt disrespected and I vote with my wallet, I refuse to give my money to people who don’t earn it. In this case, she missed an important step in the selling process and it costs her the deal. Here are two scenarios where you could use an assumptive close. The assumptive close is giving 2 choices wherein both options, we’re working together. The assumptive close is telling them how they’ll use it versus going into great detail about how others use it. In the two scenarios above, both are phrased in a way that’s known as future pacing. This is something I learned in my Neuro-Linguistic Programming studies. When you help your clients paint a picture of what it’ll be like in the future, it’s easier for them to make a buying decision. Keep in mind, if they don’t have a need or you’re unable to solve their problem, they’re not going to buy no matter what technique you use. Give the assumptive close technique a try when applicable and let me know how it goes for you.